Smaug unleashes his wrath on Lake-town in the first image from the third film Peter Jackson’s The Hobbit trilogy, The Hobbit: The Battle of the Five Armies. Of course, for those who know the story thus far, Smaug the Magnificent is fuming because Bilbo — carrying out his role as the thief — made it into Smaug’s treasure room inside the Lonely Mountain and apparently escaped with the Arkenstone. 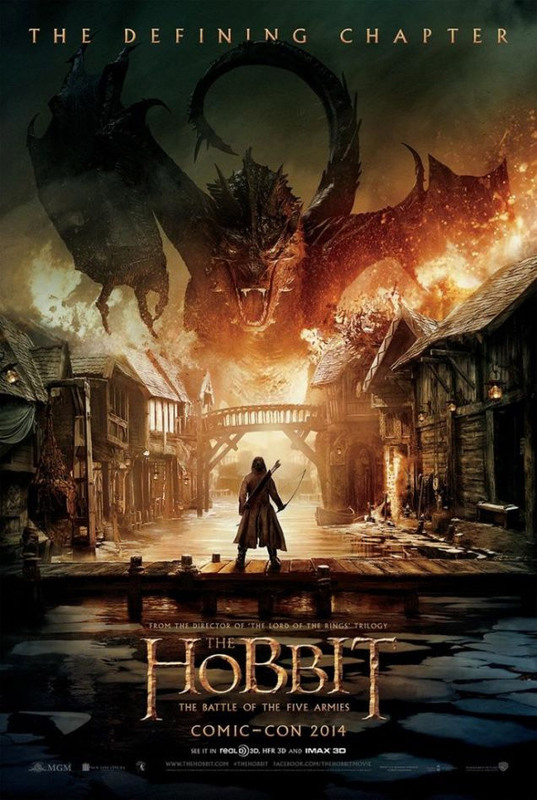 Smaug intends to carry out his revenge on the people that aided Bilbo and the Dwarves: the residents of Lake-town. Looks like it will be up to Bard to protect the town.